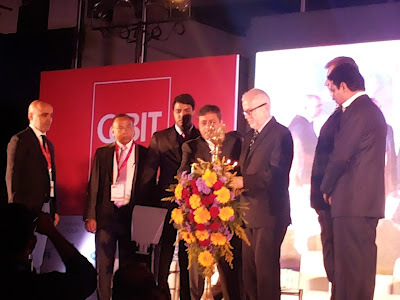 ﻿The second edition of CeBIT India, organized by Hannover Milano Fairs, is considerably on lower key event with mediocre response particularly from participating companies compared to last year. This maybe mainly due to organizers for the CeBIT India event and the organizers of the BangaloreITE.Biz decided to part ways this year and have both the events held separately. 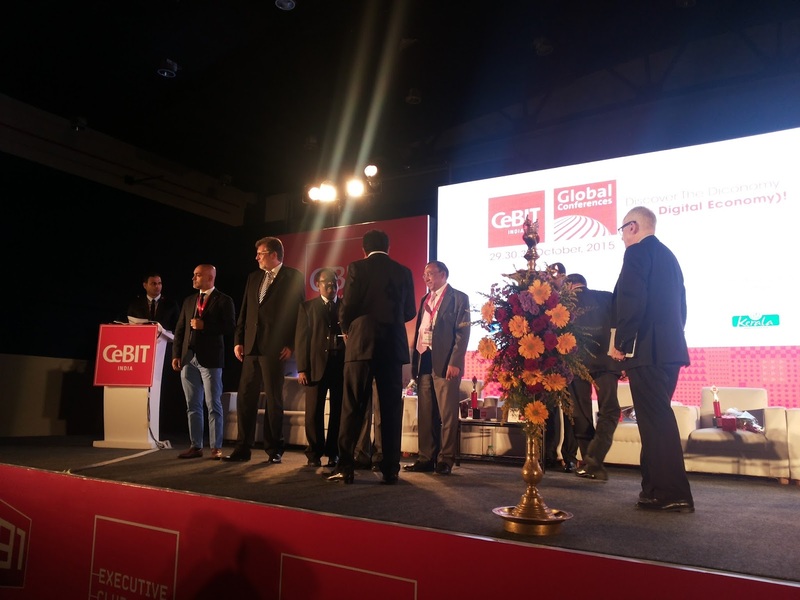 However, CeBIT has its share of over 170 CXOs taking part in the three day event being at the Bangalore International Exhibition Centre. This year the event is focused on D1Conomy or Digital Economy that has got in a number of startups from across the country. 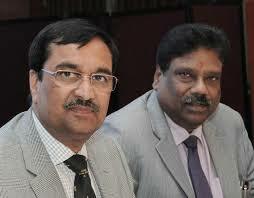 Now the state-government backed event Bangalore IT.Biz is likely to take place between December 8 and 10 in the city. 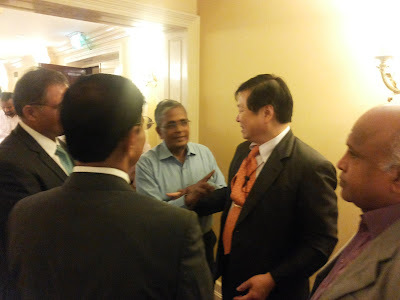 And the event will have more focus on Make In India campaign. While states such as Kerala, Uttar Pradesh and even Mizoram participated in the three day-event, he Karnataka government, which was a partner last year, stayed away. Last year, companies such as IBM, Mercedes-Benz and Vodafone were major crowd pullers. “The state government were very clear that their event portfolio strategy is investment into Karnataka. But CeBIT is a market place, and we cannot tell the government that we will bring in thousands of global delegates .When partners work together, it should be towards the same direction and it is not the case this time,“ Mehul Lanvers Shah, MD, Hannover Milano Fairs India, said Shah. The fair, being held at the Bangalore International Exhibition Centre, expects to have 10,000 trade visitors this time, a slight uptick from the 9,311 that attended last year. About 100 exhibitors, out of the total 400, are from Karnataka. “Karnataka is still the backbone of CeBIT and will remain that,“ adds Shah. 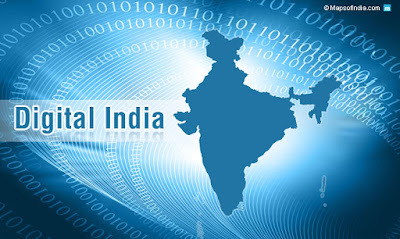 Delivering the keynote address at the event, Union IT secretary Ajay Kumar, said the Centre was planning to e-route all government transactions including receipts and payments as part of the Digital India initiative by the Prime Minister Modi. Omkar Rai, director general, Software Technology Parks of India (STPI), said the organization has lined up a Rs 500 crore incubation fund to support startups over the next 4-5 years. 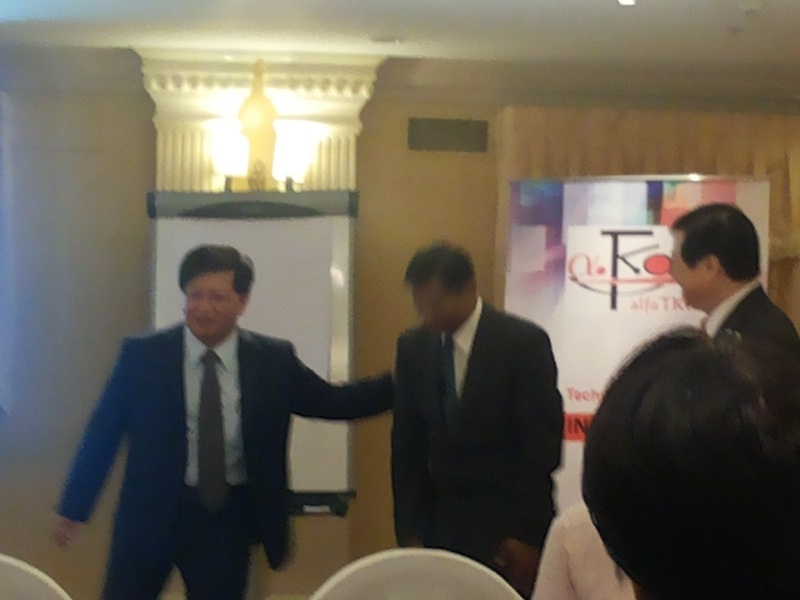 “We are developing 8 lakh sq ft of incubation space, across Bengaluru, Chandigarh, Gurgaon and other cities,“ he said. Karbonn has launched a range of new smartphones and feature phones in the market as a part of its festive offer. 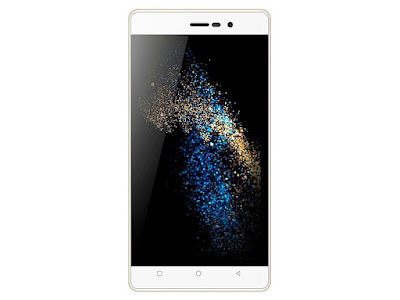 The company has introduced four new smartphones namely Karbonn Alfa 112, Alfa A91 Power, Alfa A93 Pop, and Titanium S205 Plus alongside two feature handsets – K18 Jumbo and M105. 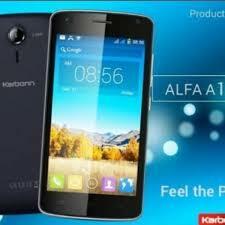 The Android-based Karbonn Alfa 112, Alfa A91 Power, Alfa A93 Pop and Titanium S205 Plus are priced at Rs. 2,890, Rs 3,290, Rs. 3,490 and Rs. 6,790, respectively. The K18 Jumbo and M105 cost Rs. 990 and Rs. 940 respectively. The company said it would also be offering special festive season discounts of up to 50 percent on Titanium Mach Five, Titanium Mach Two and Titanium S201 via e-commerce websites. The dual-SIM (WCDMA+GSM) supporting Karbonn Titanium S205 Plus (seen above) runs Android 5.1 Lollipop out-of-the-box and features a 5-inch HD (720×1280 pixels) resolution IPS display with Dragon Trail Glass protection. 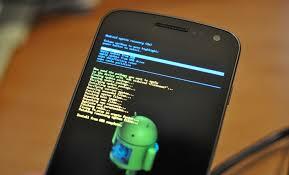 It is powered by an unspecified dual-core SoC clocked at 1.2GHz and clubbed with 2GB RAM. It also houses 16GB of inbuilt storage, which can be further expanded via MicroSD card (up to 32GB). In the camera section, the Titanium S205 Plus sports an 8-megapixel autofocus rear camera with dual LED flash and a 3.2-megapixel front-facing camera as well. The smartphone supports 3G, Wi-Fi 802.11 b/g/n, Bluetooth, GPS and Micro-USB connectivity features alongside proximity sensor, G-Sensor and comes backed by a 2200mAh Li-Po battery. The Android 5.1 Lollipop-based dual-SIM (WCDMA+GSM) Karbonn Alfa A93 Pop (seen above) features a 4.5-inch FWVGA (480×854 pixels) resolution display; 512MB RAM; 8GB inbuilt storage, which can be further expanded via MicroSD card (up to 32GB); a 2-megapixel rear camera; a 0.3-megapixel front-facing camera, and a 1400mAh battery. Connectivity features and processor remains the same as Titanium S205 Plus. The dual-SIM (WCDMA +GSM) Karbonn Alfa A91 Power (seen above) runs the older Android 4.4 KitKat out-of-the-box and features a 4-inch WVGA (800×480 pixels) resolution display; unspecified 1GHz processor; 256MB RAM; 512MB inbuilt storage, expandable via microSD card (up to 32GB), and Li-ion 2000mAh battery. The connectivity options and camera setup stay the same as Karbonn Alfa A93 Pop mentioned above. The Android 4.2 Jelly Bean-running dual-SIM (GSM+GSM) Karbonn Alfa 112 (seen above) features almost the same specifications as the aforementioned Karbonn Alfa A91 Power but misses out on 3G connectivity and is backed by a Li-ion 1300mAh battery. The dual-SIM (GSM+GSM) Karbonn K18 Jumbo feature phone sports a 2.4-inch LCD display, VGA (0.3-megapixel) rear camera, FM radio, GPRS, Bluetooth and is backed by a 1800mAh battery. The dual-SIM Karbonn K-Touch M105 sports a smaller 1.8-inch LCD display, digital rear camera and 800mAh battery with rest of the specifications same as the K18 Jumbo. 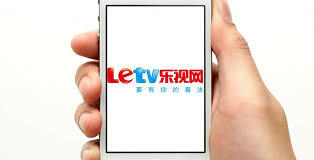 Leading internet multinational Letv, announced its decision to enter the Indian market by early 2016, at the launch of Letv’s latest products in Beijing. The Beijing based company said that it would be looking at replicating its highly successful content-device ecosystem in the country, providing users with a whole new entertainment based experience. Working towards providing Indian consumers with local entertainment based content such as movies and TV shows, the company said that it was looking at forging partnerships with local content providers and creators to create the first of its kind entertainment and content based ecosystem in India. Letv will not only bring its exciting devices to the country, but also its impressive content based Eco User Interface that will provide consumers with access to Letv’s unique and world class content-device based ecosystem that has found great success in the Chinese markets. Considering the Indian government’s invitation to international firms to set up manufacturing units in the country, the company further suggested that as a part of its long term vision, they would also be looking at setting up production lines as well as R&D centres in India. At Letv's launch event in Beijing, more than 7,000 guests, including industry leaders, opinion leaders and fans, witnessed the launch of Le 1S phone and the world's largest smart TV - a 120 inch Le TV. 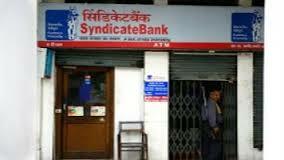 State-run Syndicate Bank on Wednesday reported a net profit of Rs.332 crore for the second quarter (July-September) of this fiscal 2015-16 as against Rs.316 crore in like period last year, posting only five percent growth. Sequentially, however, net profit rose 9.9 percent from Rs.302 crore in first quarter (April-June) of this fiscal. Operating profit for quarter under review (Q2) increased 28 percent year-on-year (YoY) to Rs.1,225 crore from Rs.954 crore in the same period a year ago. "Gross NPA increased 28 percent YoY to Rs.7,734 crore from Rs.6,049, while net NPA also rose 27 percent to Rs.4,855 crore from Rs.3,825 crore an year ago. Similarly, global net interest margin (NIM) dipped to 2.46 percent from 2.57 percent YoY and domestic NIM to 2.88 percent from 2.96 percent YoY. Yield on advances also declined to 9.02 percent from 9.63 percent YoY. Net Interest Income (NII) increased 12 percent YoY to Rs.1,595 crore from Rs.1,428 crore a year ago. Total income increased 17.4 percent YoY to Rs.6,670 crore from Rs.5,681 crore a year ago and 5.5 percent sequentially from Rs.6,323 crore in the first quarter. The bank's total business comprising deposits and advances increased 14 percent YoY to Rs.4,71,900 crore from Rs.4,15,690 crore a year ago. In keeping with its promise of bringing youthful and stylish products for customers, Hero MotoCorp Ltd, launched its eagerly-awaited new scooter 'Duet' on Wednesday in Bangalore. Incidentally, the other scooter Maestro Edge was already rolled out earlier this month in New Delhi. 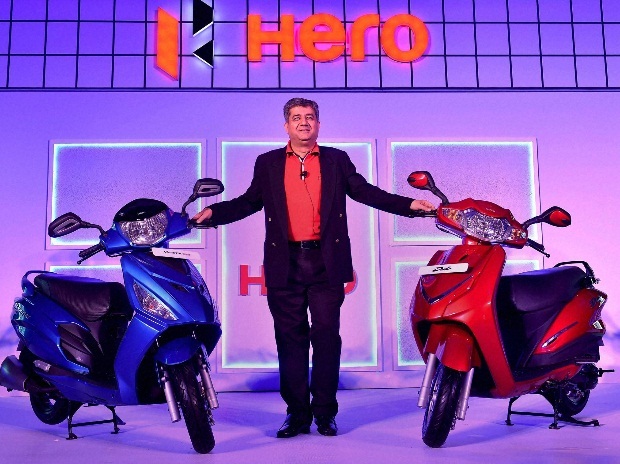 Pawan Munjal, CMD of Hero MotoCorp said, "We have now expanded our scooter portfolio with the launch of the new scooter Duet. The Duet and Maestro Edge scooters - the first of the products developed by our own in-house RnD team - mark a significant step in Hero's journey." 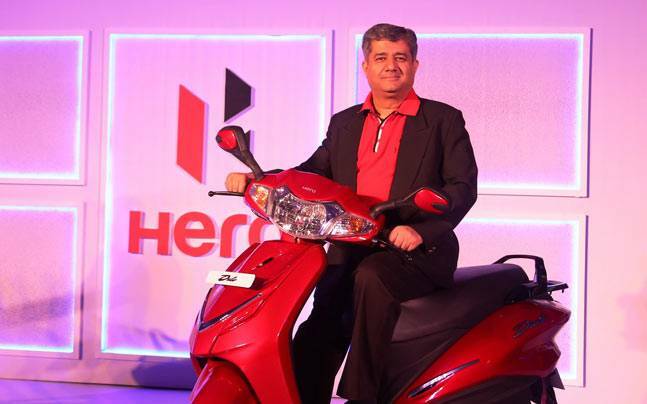 Ashok Bhasin, Head of Sales, Marketing and Customer Care, Hero MotoCorp said, "The Maestro Edge has already proved to be a blockbuster since its launch earlier this month. Now with Duet in the market, we are confident of further strengthening our presence in the scooter segment. We hope to improve upon the 13% market share we have in scooters." The Duet is priced at Rs 48,400/- (Ex-Showroom Bangalore) for the LX version and Rs 49,900/- (Ex-showroom Bangalore) for the VX version. The Hero Duet delivers an impressive performance with a 110-cc air-cooled, 4-stroke single cylinder OHC engine, producing a maximum power output of 8.31 BHP @8000 RPM and maximum torque of 8.3 Nm @ 6500 RPM. The Duet offers an impressive mileage of 63.8 km/litre to match the performance. The Hero Duet comes with a metal body that makes it sturdy and durable. The Integrated Braking System - a two-wheeler technology developed and patented by HMCL - coupled with Telescopic Front Suspension offers riding comfort and improved stability. The classy scooter comes loaded with a host of convenience features - Under-Seat Mobile Charging Port, Remote Seat Opening, Remote Fuel-lid Opening, Pass Switch, Service Due Indicator, Side Stand Indicator, Twin Parking Lamps and Tubeless Tyres. External Fuel Filling and Boot-light in the glove box are additional important utility features. The exciting six color portfolio further adds to the glamour quotient - Candy Blazing Red, Pearl Silver White, Grace Grey, Matte Nature Green, Panther Black and Vernier Grey (Non-metallic). 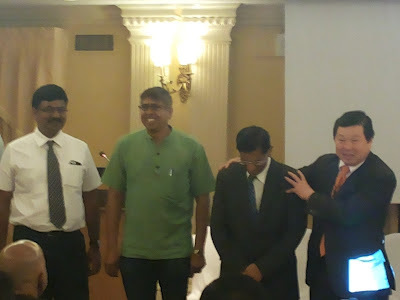 alfaTKG Co Ltd, a leading Japanese manufacturing firm has signed a joint agreement with the Indian Institute of Science to take Industry 4.0 forward as part of the Make in India campaign. The Department of Civil Engineering, Indian Institute of Science (IISc) along with alfaTKG are interested in playing a role of a catalyst by joining hands with manufacturing industries in establishing a full-fledged ICT system and benefit from Industry 4.0. With the advent of Industry 4.0, there is a revival in the strategy adopted by manufacturing industries, said Toshio Takagi, president of AlfaTKG Co Ltd, here on Tuesday. At a technical seminar on 'Mini Industry 4.0', Takagi spoke on how Industry 4.0 would transform Small and Medium Enterprises. "The concept of Industry 4.0 or the fourth industrial revolution was initialised in Germany and Japan is currently formalising it," he said. Due to Industry 4.0 and various technologies associated with it, companies will be able to take customisation to the next level, by meeting all the specifications sought by a consumer, he said. Implementing intelligent manufacturing practices, such as computer-operated manufacturing will ensure a reduction in preparation time, reduce defects and increase productivity, he adds. Prof Kota Harinarayana, professor of Indian Institute of Information Technology, Design and Manufacturing, Jabalpur, noted that Industry 4.0 has been fuelled by an exponential decrease in the cost of sensors, reduction in computing cost, developments in cloud computing, Artificial Intelligence and Robotics. The fourth industrial revolution is important to India, especially when the country is trying to transform itself to a manufacturing hub, he said. The revolution is based on cyber physical systems and will be a crucial driver of economy in the future. He said adopting Industry 4.0 measures will ensure asset utilisation, employee productivity, supply chain and logistics, and customer experience. During the seminar, experts delved on various topics related to Industry 4.0. Need to invest in skill and technology development as well as R&D facilities in India and the potential for Indian IT firms to contribute towards Industry 4.0 was also discussed at length during the seminar. 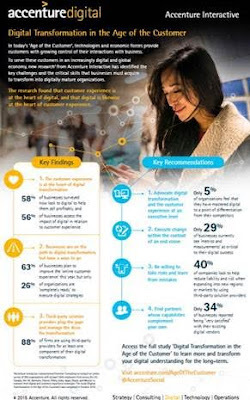 Improving the overall customer experience is a top business priority for companies and a main driver behind their digital transformation ambitions, according to a new study from Accenture. But the majority of businesses don’t set themselves apart yet from competitors through the digital customer experience they offer. * “Improving the customer experience” topped the list of business priorities companies have for the next 12 months. It received the most number one rankings (21 percent), followed by “growing revenues” (17 percent) and “improving differentiation” (16 percent). * Companies are focusing on digital channels to make customer interactions more engaging: sixty-three percent are planning to enhance their online experience, 46 percent are looking to add or improve their mobile offerings, but only 39 percent want to improve their in-store experience. 1. Setting a Digital Vision and Strategy: Confusion over who sets the digital vision and strategy hampers digital transformation, as indicated in the study. Currently, ownership is divided between the chief executive officer (38 percent), chief information officer (33 percent), chief digital officer (ten percent), and chief marketing officer (eight percent). When asked who should own an organization’s digital vision and strategy, the CIO came out on top (30 percent) followed by the CEO (27 percent). The CDO and CMO lagged at 17 percent and eight percent, respectively. 2. Organizational Readiness: Respondents were hesitant that their business has the right people in place to execute its digital strategy. They listed their “organization” as the part of the company that is least ready to digitally transform (64 percent) compared to technology (75 percent) and operational processes (75 percent). 3.Measuring Digital Success: Companies tend to worry about implementation of processes and technologies before putting in useful analytics and metrics with which to evaluate them. Fifty-seven percent of the respondents said that implementing digital technologies is critical to enabling their digital business, but only 29 percent said establishing digital metrics and measurements are. * To achieve differentiation through digital customer experiences, leaders from different parts of the business will need to team up even more tightly. They need to recognize that digital transformation can’t be confined to a single department. * Leaders should advocate digital transformation and customer experience with clear goals to ensure that all changes to culture, processes and technology ultimately support the digital vision and are not made in isolation. * The way to becoming a digital enterprise requires its leaders to take risks and learn from mistakes. For example, adding functionality that is in the spirit of digital transformation and the customer experience shouldn’t always require traditional approvals and a detailed business case. * Third-parties can help fill gaps even digitally mature companies will have and make it cheaper and faster for the organization to implement and execute their digital strategy. Forty-five percent already work with providers on enhancing the customer experience. 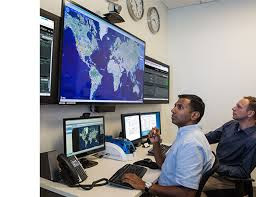 Polycom, Inc. has announced that the Directorate General Supplies and Disposals (DGSnD), a central purchase and quality assurance organisation of Government of India has awarded a rate contract agreement for the purchase of Polycom products and services. Through the rate contract agreement – supported by Inspira, a national Polycom distributor – the company will offer industry-leading video collaboration solutions and services to government institutions, helping to implement and integrate video networks within existing infrastructure. As Polycom looks to target more government opportunities, the company’s collaborative technology and market presence are strongly placed to support national initiatives such as Digital India. 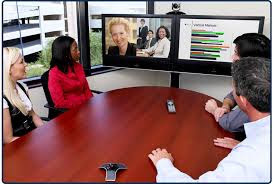 According to Frost & Sullivan, Polycom led the video conferencing systems and infrastructure segment in India, with a 44 percent market share in 2014. Improved collaboration and visual communication technology can provide skills development, introduce more virtual class rooms and extend education to rural areas, initiate remote healthcare services via telemedicine, and implement e-governance and smart city programmes. Polycom aims to enhance its customer base across various government departments and ministries including defence, railway, public sector units, and citizen services. NIIT Technologies Limited, a leading global IT solutions organization has today announced a long-term strategic agreement with Dubai-based airline flydubai. The agreement will enable flydubai to build airline-specific IT systems catering to all facets of its business. This will support flydubai’s programme to deliver an enhanced passenger satisfaction. 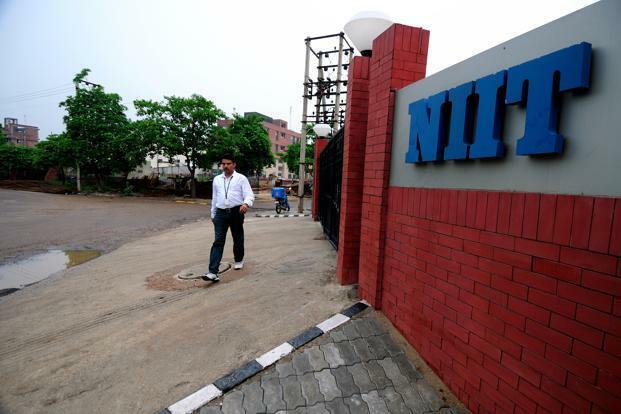 NIIT Technologies plans to deliver these services through its state-of-the-art Global Delivery Center at its campus in Greater Noida. This will include a dedicated ‘Testing Center of Excellence’ for flydubai. In addition, NIIT Technologies will provide support on software development projects with data center services through its Infrastructure Management Services. Domestic handset vendor Lava will invest Rs 500 crore to set up a manufacturing plant in Tirupati. 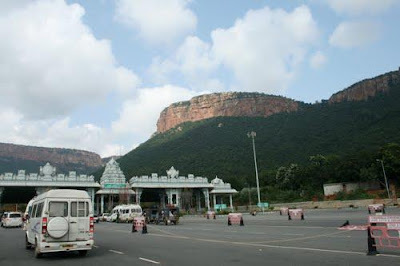 Earlier this week, Prime Minister Narendra Modi had laid the foundation stone for a dedicated mobile handset and electronics manufacturing facility at Tirupati in Andhra Pradesh. According to officials apart from Lava, the facility will house brands like Micro max, Celkon and Karbonn. “The manufacturing plant which will be operational in 2017, will target production ca pacity of five million phones a month once fully functional. Lava will invest Rs 500 crore for this facility that will be set up over 20 acres of land allotted by the government,“ said company's international chief manufacturing officer Sanjeev Agarwal.